On December 13, 2015, I took my dog outside for a walk just as something bright white streaked across the sky, drawing my eye upward. No doubt hundreds of thousands of Americans witnessed the Geminid meteor shower that night, gazing up in wonder at the natural cosmic phenomenon and feeling very, very small. Many, like me, probably also wondered what else might be out there. Space is all around us, and its vastness knows no bounds, at least none that any scientist has yet discovered. Words such as “infinity” were created specifically for this concept. But from the beginning of time, humans have been fascinated with that infinite void surrounding our planet, studying its heavenly bodies and their movements, exploring those parts of it that are closest to us, and even writing fantastical tales about people and other not-so-human creatures that inhabit it. With popular books and films such as The Martian, Gravity, and even the latest installment of the Star Wars saga released recently, it’s clear the earthlings’ obsession with exploring other parts of our galaxy (and those far, far away) isn’t waning anytime soon. Thanks to incredible scientific organizations around the world, mankind is making new discoveries in space every day. But how close are we to actually putting a man on Mars? According to the National Aeronautics and Space Administration (NASA), it’s not as far off as some may think. “NASA is closer to sending American astronauts to Mars than at any point in our history,” says NASA administrator Charles Bolden. A combination of missions on the International Space Station, studies in NASA facilities on Earth, and research missions conducted in areas of space closer to Earth such as the cislunar space—the volume of space around the Moon—will be further planned in the next decade as NASA and its partners worldwide continue on a journey to Mars. Outcomes of such studies and missions will determine the decisions made in the next twenty years that will put mankind leaps closer to touching the Martian surface as well as creating sustainable living systems for humans outside Earth’s atmosphere. “NASA’s strategy connects near-term activities and capability development to the journey to Mars and a future with a sustainable human presence in deep space,” says William Gerstenmaier, associate administrator for Human Exploration and Operations at NASA Headquarters. Outcomes of such studies and missions will determine the decisions made in the next twenty years that will put mankind leaps closer to touching the Martian surface as well as creating sustainable living systems for humans outside Earth’s atmosphere. These near-term activities are already well under way: simulating Mars surface living in an isolated dome on the island of Hawaii; and building and redeveloping a heat shield for the Orion spacecraft that will protect its future inhabitants from harmful solar and atmospheric environments. Although the real journey to Mars may still be a few decades away from fruition, earthlings can follow its progress through NASA’s website, social media accounts, and press conferences. They can also take their own journey to see NASA’s work up close and personal at many NASA facilities throughout the United States. For example, NASA’s Marshall Space Flight Center in Huntsville, Alabama, plays an integral part in the development of technology and procedures that make space travel possible. Huntsville, known as the Rocket City, is also home to the U.S. Space and Rocket Center, which houses the world’s largest space museum as well as the Space Camp program. Visitors to the Space and Rocket Center can take a bus tour of Marshall, explore the museum’s permanent and traveling exhibits, take part in interactive experiences, and ride simulators such as the Space Shot rocket launch, the G-Force Accelerator, the Mission to Mars ride, and more. The center is open daily for tours, field trips, IMAX films, and even relaxing afternoons in the Biergarten (open seasonally). Check the weather before you go, as you won’t want to miss a walk through Rocket Park, where visitors can see twenty-seven real rockets and missiles chronicling the history of man in space. Plan your trip at RocketCenter.com. Kennedy Space Center is one of NASA’s best-known facilities, as it has been the launch site of the organization’s most famous missions since 1968, including Apollo, Skylab, and the Space Shuttle. Working closely with neighboring Cape Canaveral Air Force Station, Kennedy continues to launch NASA’s most prominent missions. It also houses a visitor complex, where tourists can explore the exciting research and history that has occurred at Kennedy. They can take a ride in the Shuttle Launch Experience, walk through the awe-inspiring Apollo/Saturn V Center to relive the glory days of the Apollo missions, view rocket launches, and even meet real astronauts who often make appearances and give talks on their experiences. Visit KennedySpaceCenter.com to plan a visit. Houston, we have another must-visit for any space fan: Lyndon B. Johnson Space Center in Houston, Texas (also known as NASA’s Manned Spacecraft Center). This is where mission control on NASA’s manned journeys into space are operated, where many astronauts undergo their flight training, and where countless researchers plan and prepare for manned spaceflight missions. Space Center Houston, the visitors’ center at Johnson, has much to offer. Take a close-up look at the Galileo shuttlecraft on display, see live talks with NASA astronauts (or even have lunch with one! ), and, starting January 23, tour the massive Boeing 747 NASA 905 shuttle carrier aircraft and the replica shuttle Independence at Independence Plaza. Log on to SpaceCenter.org to learn more. These are just three of NASA’s twenty space center facilities throughout the United States. To find one near you or to learn more about planning a visit to a NASA facility, go to VisitNASA.com for a complete list of locations. “Space is not only important to the future of transportation, it’s important to the future of imagination,” said Virgin Galactic CEO George Whitesides in September 2014. And with NASA backing satellite exploration missions by Virgin Galactic via its LauncherOne small satellite orbital launch vehicle, the company is poised to continue its exploration and development of future commercial spaceflight options. 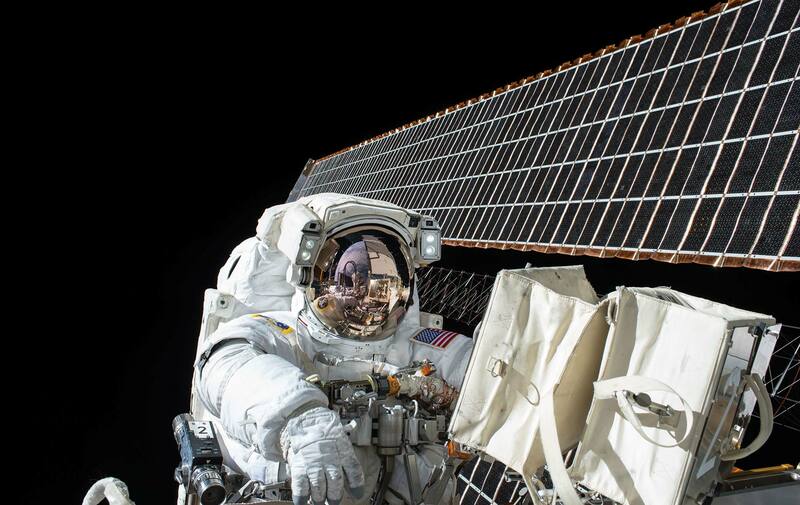 “Future astronauts” can even sign up to be part of the program for a mere $250,000 deposit! Secure your seat to the future at VirginGalactic.com. Whether you’re a science buff who loves following every NASA mission, a true adventurer who wouldn’t be afraid to explore the vast reaches of the universe, or maybe just a nerd who enjoys watching Star Trek, Firefly, and Guardians of the Galaxy, there’s no denying the allure of all things cosmic. It’s an exciting time to be alive in the age of space exploration, so be sure to take a look at all the amazing things happening at NASA.gov, and plan a trip to a space center near you this year!